Are you feeling a bit overwhelmed with all the things you have to keep up with to market your small business? If you’re like most small business owners then I’m sure your answer is an unhesitant yes. Marketing automation can solve some of your time problems by allowing you to automate some markereting tasks and freeing your time up for other tasks. Tasks that marketing automation can help you with might otherwise take hours from your day. Some of the strategies I mention in this post can help you keep up with marketing tasks that automation can handle effectively. If you’re excited about marketing automation then awesome. If you need a bit more convincing then let’s take a look at why marketing automation will help you. Whether you’re all for automating some of your marketing or you’re a bit hesitant, you should know the benefits. After the benefits, I’ll show you some of the ways to easily automate some of your already existing processes. None of the method of automation I outline is too over the top and they’re something you would be able to do if you’re willing to explore technology a bit. Either that or consult with an automation expert to talk about the possibilities and your ideal approach. Create a more consistent marketing process. Connect you with people you might otherwise lose contact with. Introduce you and followers to new information. Help people find products and services that you can then sell to them. Gather feedback on your products or services. Marketing automation sounds complex just from the name but there are some easy tools and methods to make automation happen for your business. I’m able to save hours of my time every month with a few basic automations that were easy to implement. While marketing automation is extremely helpful, there are some things that shouldn’t be automated. I don’t want to put a damper on the automation excitement just yet so I’ll save these no-go automation items for later. Marketing is a complex process and there’s a lot to take into account. That means not everything is a good match for automation. Often a human touch is something you can’t take out of the marketing process. For the parts of marketing that don’t require a human touch or the human touch can be automated, there’s marketing automation. These are a few things you can (and should) automate in your marketing process. Not only will it free up some of your time but it will give you a more consistent marketing process. The most common task to be automated is those in email marketing. That’s where I’ll start but it’s definitely not where marketing automation should stop. There are a number of different things you can do to automate email marketing for your business. In fact, the possibilities are virtually endless. I use several different methods of automation. Depending on your goal, you might pair together several methods to help you achieve your business goals. 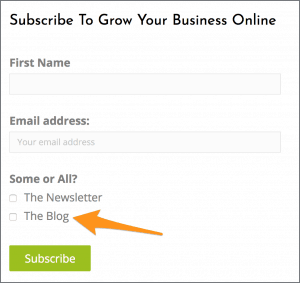 Automatically send your blog posts to subscribers. Drip campaigns with a pre-determined flow of emails. Follow-up with customers or greet new customers with a special thank you. Say happy birthday to your subscribers. Ask for feedback on products or services. Every business is different so your ability to automate email marketing will vary from another business. I am able to use drip campaigns that send people down a certain process of emails I’ve pre-written. You may not be able to. To do this I use helpful tools such as MailChimp (affiliate link) and also HubSpot. When you subscribe to The Online Presence Newsletter most emails you receive are real emails that I’ve written in real time. Some email is automated though. New subscribers will receive a sequence of emails introducing them to the newsletter and then asking for feedback and input. The biggest part of my automation comes in the form of my blog though. When you subscribe to receive The Online Presence Blog these emails are completely automated. I write posts for the blog and I publish them here. Whey spend more time with an email once I’ve done the hard work? Once a week MailChimp checks the blog RSS feed for new posts. If there are new posts then MailChimp gathers up the information, plugs it into an email I pre-formatted, and sends it to the right group who subscribed to receive blog updates. I wrote a whole post on how you can send an automatic email newsletter if you already write in a business blog. Using a few methods of growing your email list and some automation, you can have a great process of warming up leads with a thorough funnel before you ever ask for anything in return. Next up is the option to automate some of your advertising. This can go hand in hand with email automation (that comes later in the next section). Advertising is a difficult process that a lot of people lose hope in quickly. People trying to sell you advertising tells you it takes time for ads to work but that’s not true. Your ad campaign duration shouldn’t have to run for long for you to know if it’s going to be successful or not. One ad probably isn’t going to get you much of anything unless it’s formulated just right. Not only that but whoever you’re advertising to has to be in the exact right place (mentally and financially) to buy. More often than not it’s necessary to set up a form of automation for advertising to work well. Cost effective advertising campaigns that work usually come from automated campaigns. Part of automation with advertising is remarketing. That means you have to take advantage of remarketing. What is remarketing you ask? Let me tell you in terms of something you’ve probably experienced. You may have been to company A’s website and later on company B’s website seen company A’s ads. That happens because company A has set up a tracking pixel on their website. When you visit company A’s website then a tracking pixel helps track you across a network of ads. 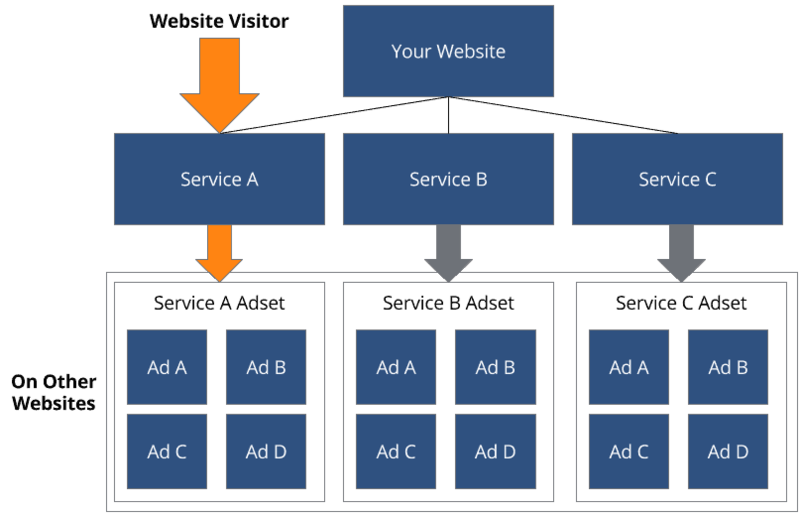 Here’s a diagram of how that works on a real website. You just have to imagine that ad sets are displayed on websites all over the internet. Both Facebook and Google Ads have a powerful ad network that can anonymously track you (they don’t know who you are) across the internet. Their reach is huge and their ads/tracking pixels are on nearly all websites you visit. You can use Google Tag Manager to help install pixels from all the ad networks out there (there are a lot). It helps you install them and easily manage them on your website. Remarketing helps you show the right people your ad at the right times. If someone visited your website then you’d have to assume they’re likely to be interested in what you do. If someone is interested but didn’t contact you or purchase from you then remarketing lets you track them and show them a relevant ad. All that happens with just a bit of initial setup and then it runs all by itself. Let’s say I wrote a blog post about listing a business on local business directories. I can track (with a tracking pixel) when someone visits that blog post. My blog post has established that they’re interested in listing their business on local business directories. That’s a great lead for my business because I know they’re interested in something that I can help them with. Now I can show an ad to someone who visits my blog post about listing their business in a local business directory. I have now specifically targeted my ad to someone I know has interest in my service. That process runs over and over again without me ever interacting with it except to close the deal. Someone finds my blog post on Google and reads it. They then probably leave my website. As they’re visiting other websites my ad shows up for a product related to the blog post they read. If they click then they’re more likely to purchase because they’ve already shown interest in my service. 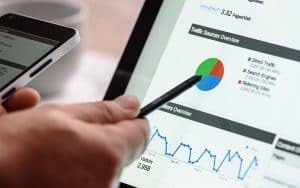 Remarketing isn’t the only way to automate your advertising solutions although it does help to tie in remarketing into some of these other methods. I mentioned in the email marketing section that you can increase the power of email marketing by tying advertising into the mix. That means you can use your email list to target people with your ads. As people sign up for your email list you can use their email address to target ads to them also. MailChimp (affiliate link) again is a powerful tool to automate your ads to feed off your email list as it updates. If you have an eCommerce store then MailChimp becomes even more powerful. You can use your contact list, purchase data, and more to fully automate the advertising process so your customers receive timely, relevant ads that are personalized to their experience. You can learn more about that on the Facebook Ad Campaign page from MailChimp. Amazon uses this feature to make sure you receive ads for products that you’re interested in. Have you ever been on the Amazon website viewing a product and then found similar products from Amazon advertised on Facebook? Ya, all that’s automated advertising and helps create a relevant and personalized experience for people. 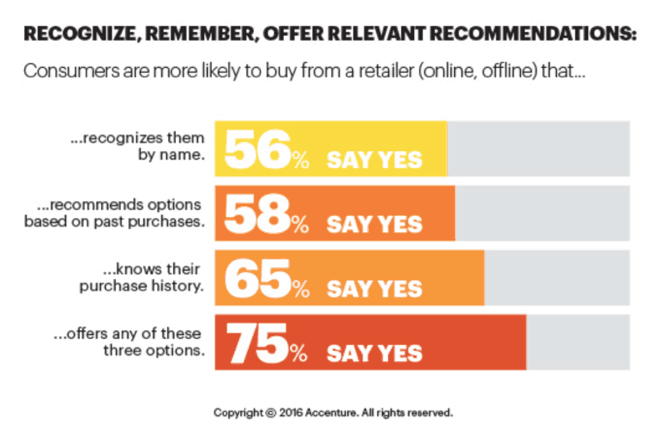 People who receive a personalized experience have a higher chance of purchasing from you. A study by Accenture shows that people prefer a personalized experience. The more you can personalize the user experience the higher the chance they’ll purchase from you. Automating ads can save you a lot of time but there’s one more marketing automation strategy that can save you the most time of all. Automating social media can save you several hours every week. By far automating this will save you the most time. There is a caveat here though. Don’t automate your entire social media strategy. That’s a recipe for disaster. Automation in a very personal medium such as social media means you have to have clear borders to how far you go. Only a small part of your social strategy should be automated. Fortunately, even a small portion of social media automation can save you hours. So, what can you automate here? There are a few things you can do to automate your social media process. 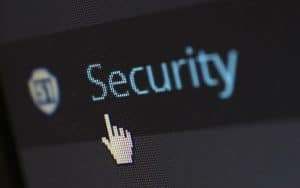 Keep in mind that you’ll never want to automate any engagement and you should never leave social media unattended and unmonitored. There’s nothing worse than a brand that never responds when you respond to one of their shares. Also, when you message a company there’s nothing worse than an automated response unless that response tells you when to expect a response. Use some common sense when looking into automating social media processes and if in doubt, don’t automate it. Now for some of the best parts of social media to automate. The rest of my social media automation methods are based on this section. I’ve previously written about a social media strategy that only takes minutes a day. At the root of that recommendation is Buffer. There are other similar tools (such as HootSuite) but from the apps I’ve tested Buffer is far superior and I’m not paid to say that. I’m not an affiliate for either Buffer or HootSuite, not sure if they even have affiliate programs. You can use Buffer to set a schedule to share content on a specific schedule so it will drip it out over time. This is good because it’s nice to consolidate your learning and consumption of content in one block of time. If you share everything interesting in your industry you come across at one time then you’ll have a lot of dead air time throughout the day on your social media profiles. Just one block of time will have tons of shares and then nothing. With Buffer, you can share content to your Buffer queue and it will drip it out over time on the schedule you’ve provided. I just gave you a good example of this using Buffer but I will reiterate the importance of this. You probably read several industry publications or things that help you stay updated in your industry. Add that to your social sharing queue to drip out over the next few days. Maybe you go to a training event for a manufacturer or product supplier. There’s probably some good information there that will help establish you as an expert and show people following you on social media you know what you’re talking about. Throughout my day I’m reading blogs and learning more about my industry. If I run across something really valuable then I add it to my Buffer queue to share. I use an app on my phone called Feedly (Google Play) which I have set up with several of my favorite websites. I can easily browse good content, read it, then add it to my Buffer queue which then goes out on a predetermined schedule. This method is a fully automated method similar to the last. 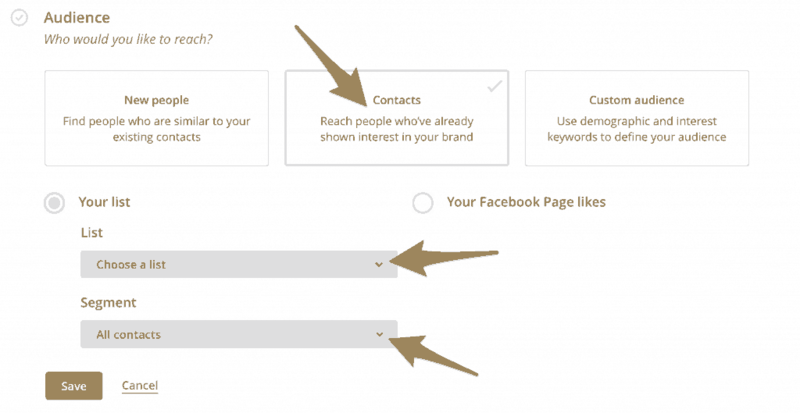 Because it’s fully automated you’ll lose some of the personalization. Use this method in limited circumstances and monitor it closely. If there’s an information source that puts out amazing publications and you’re confident in their material then use this method while keeping a close eye on it. Every time the publication publishes something then you can have it automatically added to your Buffer queue. To do this you can use a combination of the RSS feed from your source and IFTTT to add content from the RSS feed to your Buffer queue. 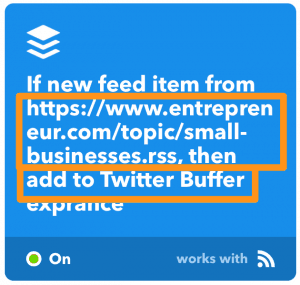 So, if an article is published to the RSS feed then IFTTT will take that article and put it into your Buffer queue for sharing in the next available share slot. This method appears to only work with one queue on Buffer though. At the time I set this up I was only able to connect IFTTT with my Buffer Twitter queue rather than my Twitter, Facebook, and LinkedIn queue. Once you set up this automation then you don’t have to do anything. It’ll keep running until you stop it. These are some of the strategies you can use to automate your marketing. They’ll save you a lot of time and create a better experience for your visitors and an easier experience for you. There are some things to take into consideration though. Every business is different therefore every marketing automation strategy will be different also. Every type of business is unique. My marketing automation won’t look anything like yours if you’re in a different industry. Everything with digital marketing is so unique to every business which is why to get a quote with us we require a phone call to discuss your specific business needs and goals. This allows us to get to know your business and propose a solution that is specific to you. Marketing automation is no different which is why there’s no way to provide a one size fits all solution. 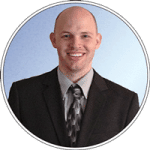 I’ll cover some of the different solutions you might use depending on your type of business. Even your strategy will vary within this framework though. Depending on the service you provide your automation will vary slightly. I will give you a few examples of how a service business can use automation. Every six months you’re supposed to get your HVAC system (heater and air conditioner) checked up to make sure it’s ready for the upcoming change in weather (cold and warm). After an initial service call to check up a customer system, ask if they’d like a reminder in six months for their next checkup. If a customer agrees to a reminder then get their email address and put them on your email list with their signup date. Every six months you can have an email sent out to them reminding your customer it’s time for their system checkup. Almost every type of service business can use a similar automation to this. 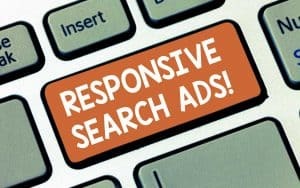 For ads, create a Google Ad for search that targets people looking to service their HVAC system. Depending on the page of your website they visit you can have an automated retargeting ad for a service that matches what they’ve already expressed interest in. There are hundreds of different opportunities to automate emails and ads for eCommerce. In fact, there are too many for me to provide examples. I will provide a list of some of the things you can automate though. New customer greeting after they’ve purchased their first product. Abandoned cart automation if someone leaves something in their shopping cart. Send your best customers a special coupon and say thank you. 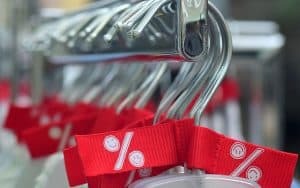 Remind visitors to your website about the products they’ve shown interest in but haven’t purchased. Ask customers to review a product after they’ve had time to receive and use it. Email customers who you haven’t seen in a while. The list goes on and of course, I’ve already laid out some examples of advertising automation previously. Share information about relevant local happenings on your social media profiles. If you collect emails in your shop then add that to an automated email. Every day add the email addresses you collected for that day into your list that starts them on an automated email journey. There could be a “thank you for coming in” email that sends a few days after their visit. Maybe a week later you send them a coupon to try to bring them back into the store. Marketing automation can play a huge part in helping your business grow. The best part? Once you set everything up many automated processes will run without intervention. Every social media share (your entire timeline should not be automated shares). Following and unfollowing people on social media. Initial email outreach for those you’d like to initiate a conversation with. Social media engagement. Watch for people engaging and always engage back. There may be more but common sense and discussion will go a long way in helping you decide whether to automate or not. I encourage you to start thinking about automation and how it can help your business. Don’t jump right in and start automating everything you can think of though. You’ll want to think about how it will benefit you specifically and only go through with those automation processes that offer a true benefit to you and consumers. Once you do automate a process be sure you monitor it closely for at least a month, maybe longer. Never stop checking in on it either. Don’t create an automated process and then forget about it. If something goes wrong you’ll want to know about it soon after it goes wrong. When you do find opportunities to automate, don’t do it all at once. You’re inviting disaster if you go too far into automation too fast. Maybe start with a bit of email marketing automation and then move into some other methods after that. If you have any questions about marketing automation don’t ever hesitate to schedule a free consultation to chat about how we can help grow your business online.